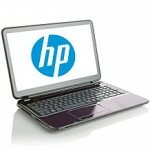 We are currently investigating HP for advertising bogus computer discounts and inflated prices on its website at the HP.com Home & Home Office Store during the period 2010 through 2012. HP promises specific dollar and percentage discounts from the computer’s regular price, when in fact HP.com never sold the computer at the claimed regular price. 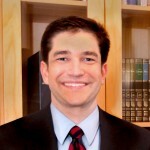 Attorney Daniel Hattis and co-counsel Lieff Cabraser Heimann and Bernstein reached a settlement with Dell, Inc. in a Class Action charging that Dell falsely advertised price discounts of computers on its website. In October 2011, the Court approved a settlement that provided a $50 payment to each class member that submitted a timely and valid claim. Class counsel represents online purchasers of Dell computers who were victims of Dell’s alleged deliberate scheme of misrepresenting price discounts through a systematic Internet-based false advertising campaign.